Pico Far East Holdings (OTC:PCOFF) [HKG:752], Asia’s largest exhibition services provider, trades at an ex-net cash trailing P/E of just 10 times. This represents attractive valuations for a market leader which has generated 15-20% ROEs in the past decade and also has been profitable and free cash flow positive for every single year over the same period. Pico Far East boasted a 60% market share of the Asian exhibition market a decade ago and it is likely to retain and has expanded its market share during the past 10 years given its wide moat or sustainable competitive advantages. Pico Far East is also well-positioned in markets like Southeast Asia and China, which contribute the bulk of its sales, that are expected to grow faster than the overall global exhibitions market. A near-term catalyst could be a new project awarded to Pico Far East as part of Hong Kong Disneyland’s HK$10.9 billion expansion plan. I arrive at a target price of HK$4.35 for Pico Far East by applying a 15 times forward P/E to my estimated FY2020 EPS of HK$0.29, which implies a 41% upside from Pico Far East’s share price of HK$3.08 as of March 8, 2018. Furthermore, investors can expect to collect an annual 6% dividend yield (including special dividends which have been recurring for three consecutive years) over the holding period. Founded in 1969 and listed on the Hong Kong Stock Exchange in 1992, Pico Far East is a Hong Kong-listed exhibition services company that also trades on an OTC basis in the U.S. It derived 80.1%, 8.8%, 7.5%, and 3.6% of its FY2017 (YE October) revenue from the Exhibition and Event Marketing Services business (the provision of design, decoration and stand fitting services for exhibition venues and booths at exhibitions and trade fairs), the Visual Branding Experiences business (the production of corporate signage for shops, automobile showrooms, infrastructure and pop-up store activation etc), the Museum, Themed Environment, Interior & Retail business (the design and decoration of fixtures for the museum, themed environment, interior and retail industries) and Conference & Show Management business (the organization of conferences and shows under the “Meeting Planners” brand) respectively. In terms of geographic markets, Greater China, South & Southeast Asia, the Middle East, the Italy, U.K. & U.S. (as one geographic reporting segment) markets and Other Markets contributed 62.4%, 24.2%, 5.8%,, 1.4% and 6.2% of Pico Far East’s FY2017 top line respectively. I will be focusing primarily on Pico Far East’s Exhibition and Event Marketing Services business in my article, as this business segment accounts for the lion’s share (80%) of the company’s revenue. Pico Far East has a stellar financial track record of having been profitable and free cash flow positive in every year for the past decade. But that alone does not make Pico Far East a “defensive stock” which I define to be a company boasting recurring revenue streams and stable profit margins over time. In fact, Pico Far East does meet the definition of a “defensive stock” albeit in a slightly different manner from conventional defensive stocks. Unlike most other defensive stocks which generate recurring revenue from either long-term contractual arrangements or very stable non-cyclical consumer demand, Pico Far East’s revenue model can be defined as recurring thanks to the unique nature of exhibitions. Most exhibitions are held semiannually, annually or biannually. Due to Pico Far East’s reputation in the market, its long-term relationships with exhibition organizers (in business for more than half a decade) and client switching costs (due to client inertia and the “Nobody got fired for hiring IBM” mentality in choosing the largest and most well-known player), Pico Far East tends to be appointed as the exhibition services provider by the same exhibition organizers that it has worked with in the past. In FY2017, Pico Far East was the exhibition services provider for over 800 exhibitions such as Pet Fair Asia 2017, the 25th International Baby/Children Products Expo 2017, The Macau Food Festival 2017, BITEX 2017 (Bahrain’s premier technology exhibition), PATA Travel Mart 2017 (Asia-Pacific’s worldwide travel trade exhibition), among many others. The recurring nature of Pico Far East’s revenue is validated by its historical financial track record. On a two-year and three-year basis, its revenue grew consistently for consecutive periods over time. It is not appropriate to analyze Pico Far East’s revenue growth on an annual basis, since there is a degree of lumpiness with certain events held bi-annually or every three years or even longer. In summary, Pico Far East fits the bill of a defensive stock, given its recurring revenue (albeit over a longer two- or three-year period), stable profit margins, and sustained positive free cash flows and earnings over time. There are two key criteria for a wide moat (sustainable competitive advantage), dominant, stable or growing market share and high returns on capital, and Pico Far East passes both tests with flying colors. While it is difficult to obtain current market share figures for a niche market like exhibition and events marketing services, a May 2006 sell-side broker report estimated Pico Far East market share of the Asian exhibition services market (the company generated more than 86% of its FY2017 revenue from Greater China and South & Southeast Asia) at approximately 60%. Between FY2006 and FY2017, Pico Far East grew its top line by an 11-year CAGR of 7.5% from HK$1.80 billion to HK$3.98 billion. Comparing the company’s historical revenue CAGR with the mid-single digit growth rate of the global exhibition services market, it is safe to say that Pico Far East is very likely to have gained market share over the past decade, or in the worst case, at least maintained its market leadership in the Asian exhibition services market. With respect to returns on capital, Pico Far East has consistently generated ROEs in the 15%-20% range between FY2008 and FY2017 (again FY2009 was the outlier with a ROE of 13.5% during the Global Financial Crisis). A 15% ROE is a good yardstick to identify good companies or companies with wide moat. Warren Buffett made a reference to a study by Fortune Magazine in Berkshire Hathaway’s 1987 shareholder letter, which indicated that among the 500 largest industrial companies and 500 largest service companies, only 25 of these 1,000 companies achieved 10-year average ROEs of over 20% from 1977 through 1986, with a minimum ROE of 15% in each of the years. It is notable that 24 of these 25 outstanding companies (with respect to ROE consistency) outperformed the S&P 500 index in terms of share price performance. More importantly, Pico Far East’s high ROEs were achieved with minimal debt, as its debt-to-equity ratio never exceeded 5% in any of the past 10 years. Pico Far East’s moat is derived from the following factors below. Firstly, in an industry where scale matters due to fixed costs and operating leverage, Pico has been highly profitable generating ROEs in the 15%-20% range historically leveraging on its size as the largest exhibition services player in Asia. Geographical scope and reach are also equally important, and Pico Far East operates in approximately 40 cities globally, implying that it is more convenient for global clients (corporates or event organizers) to award projects on a global basis and work with Pico Far East, rather than spend time and effort to negotiate individual contracts with local or regional players in various markets. Secondly, Pico Far East benefits from both low-cost operations/production and closeness to clients/events, as its factories are located all over Asia such as, China, Dubai, Malaysia, Thailand, Qatar and Singapore. This cost advantage is especially critical when it comes to competing for international exhibitions and events, where it has a clear cost competitiveness edge over U.S. and European players. Thirdly, Pico does not have meaningful competition, as peers tend to be either local companies or international enterprises which operate with their own constraints. Local companies usually do not have the financial strength, geographical presence and scale to compete with Pico; while international players are typically Europe or U.S.-focused, with no significant presence in Asia. Lastly, while the barriers to entry are low, the barriers to excellence are high. While almost any individual designer or start-up company can do up an exhibit stand, either outsourcing production to external parties or manufacturing small quantities on your own is highly inefficient under budgetary and time constraints. In contrast, Pico Far East has its own factories to produce exhibition, event and interior fit-out products, and has the manufacturing scale. The demand for exhibitions and events tends to be correlated with economic growth and GDP. While the number of exhibitions and events held might vary from year to year, the long-term economic growth trend is expected to be on an upward trajectory, particularly driven by the expansion of the global middle class population. According to research by Homi Kharas, a senior fellow and deputy director in the Global Economy and Development program at the Brookings Institution, the number of “new” entrants joining the middle-class people every year could increase by 20% from 140 million currently to 170 million in five years’ time and allow the middle-class to form the majority of the worlds population in the near future for the first time in history. Homi Kharas defines middle-class as an annual income of $14,600 to $146,000 for a four-person household. Moving on specifically to the exhibitions industry, consultancy AMR International forecasted that the global exhibition services market will grow by a 4.2% CAGR between 2016-2021. Pico Far East’s largest market is Greater China, which contributed 62.4% of its FY2017 revenue, and the market’s growth prospects look equally good, if not better than Southeast Asia. China’s total available exhibition area grew by 63% YoY from 16.02 million square meters in 2016 to 26.09 million square meters in 2017, according to data from the China Council for the Promotion of International Trade. Available exhibition area is a leading indicator of future exhibition demand, so it is reasonable to expect more exhibitions to be held in China in the coming years. The positive outlook for the Chinese exhibitions market is validated by AMR International research which predicted that China would “retain the runner-up place in the long term” making reference to the country’s status as the world’s second largest exhibitions market trailing only the U.S. Pico Far East’s management is also similarly bullish on China’s growth prospects, as evidenced by its construction of a new 27,000 square meters factory in Dongguan, China which became fully operational in April 2017.
Notable exhibitions in China that Pico Far East was involved with in the past year included The 9th Beijing International Printing Technology Exhibition, The 15th China International Machine Tool Show in Beijing, The 24th International Exhibition of Automobile Accessories in Beijing, China International Gold, Jewelry and Gem Fair in Shanghai and Google Developer Days in Beijing and Shanghai. Taking a step back from the long-term growth opportunities, there is a significant potential short-term catalyst in the form of a big project award this year. Pico Far East’s Museum, Themed Environment, Interior & Retail business is an extension of its core Exhibition and Event Marketing Services business, as it leverages its expertise in design and decoration to make fixtures for companies and projects in the museum, themed environment, interior and retail industries. The difference between the Exhibition and Event Marketing Services business and the Museum, Themed Environment, Interior & Retail business is that the former boasts more consistent revenue streams attributable to the recurring nature of exhibitions, while the latter exhibits greater lumpiness in its revenue streams since it is reliant on the award of big projects in line with construction of new theme parks as an example. In late-2017, Hong Kong Disneyland announced a HK$10.9 billion expansion plan which is scheduled to start this year and end in 2023. The expansion plan involves a transformed castle and hub area, an all-new Frozen themed land, a dedicated Marvel themed area and a new entertainment venue, Moanas Village Festival in Adventureland. Pico Far East has had past experience and track record working on interior decoration projects for both Shanghai Disneyland and Hong Kong Disneyland in 2016 and in 2005-2007 respectively. As a testament to the quality of Pico Far East’s work, its subsidiaries, Shanghai Pico Exhibition Services Co., Ltd. and A.E. Smith Brand Management (Shanghai) Co., Ltd., received trophies from The Themed Entertainment Association last year that recognized Pico Far East’s contribution to Shanghai Disneyland, an Outstanding Achievement award winner in the theme park category for the THEA Awards 2017. It is highly likely that Pico Far East is able to secure some decoration projects for the Hong Kong Disneyland expansion plan when the tenders are called, which would serve as a short-term catalyst for the share price. As an illustration of the profit uplift from a mega project award, Pico Far East’s Museum, Themed Environment, Interior & Retail business saw a 68% YoY growth in FY2016 segment profit to HK$35.1 million, where the completion of two theming contracts with Shanghai Disneyland were a key contributing factor. The key bear thesis for Pico Far East is that its business is perceived as “cyclical” by certain investors due to the lumpiness of revenues from certain events held every two years or longer, and the cyclical demand of some non-exhibition events that are linked to economic conditions (supported by the fact that the company suffered a 15.4% decline in revenue and a 10-year low net margin of 5.6% for FY2009 during the Global Financial Crisis). I take a different view, as Pico Far East’s top line has grown consistently over time in the past 10 years, if you take a slightly longer two- or three-year view of revenue growth. Therefore, it is important that Pico Far East also offers an attractive dividend yield to allow investors to wait out certain under-performing years (when share price declines in line with slowing revenue growth on an annual basis due to the lumpiness of revenues from certain events held every two years or longer). Based on Pico Far East’s share price of HK$3.08 as of March 8, 2018, the stock offers a 4.4% dividend yield based on the HK$0.135 of dividends for FY2017. If one includes the special dividend of HK$0.05 as well, Pico Far East’s trailing dividend is as high as 6%. It is appropriate to include special dividends, as they can be deemed recurring since the company also paid out special dividends for FY2016 (HK$0.05 per share) and FY2015 (HK$0.03 per share). Pico Far East’s historical dividend payment track record is equally impressive, having only omitted dividends twice in 25 years for FY2008 (Global Financial Crisis) and FY1999 (1997 Asian Financial Crisis) since 1993, the second year of its listing. The stock’s dividend payout is supported by its net cash balance and strong free cash flow generation. Pico Far East has net cash amounting to HK$1,024 million as of October 31, 2017, or HK$0.83 per share or 27% of its market capitalization. The company also generated an average annual free cash flow of HK$200 million (capital expenditures are low at under 2% of revenue) for the past four years (HK$249 million for FY2017). In comparison, the cash outflow for FY2017 dividend payout amounted to approximately HK$228 million. In other words, the company’s net cash balance is equal to about 5 years of dividends (based on FY2017 payout including special dividends), and Pico Far East’s FY2017 earnings and cash flow dividend payout ratios were 80% (from a net profit perspective) and 90% (from a free cash flow perspective) respectively. More importantly, Pico Far East’s high and consistent dividend yield also adds to its “defensiveness” (in a slightly different context from what I was writing about earlier) from a total shareholder’s return perspective, as a 6% dividend yield helps to offset lower share price appreciation (or even decline) in any particular year. Pico Far East trades at a trailing P/E of 13.4 times based on its FY2017 EPS of HK$0.23 and its share price of HK$3.08 as of March 8, 2018. Furthermore, if one adjusts for Pico Far East’s net cash of HK$0.83 per share or 27% of its market capitalization, Pico Far East’s ex-net cash trailing P/E is a mere 10.0 times, which is pretty attractive. I arrive at a target price of HK$4.35 for Pico Far East by applying a 15 times forward P/E to my estimated FY2020 EPS of HK$0.29. I forecast Pico Far East to grow its revenue by a three-year CAGR of 6.5% from HK$3,979 million in FY2017 to HK$4,806 million in FY2020. This is comparable with the company’s 10-year FY2007-FY2017 historical revenue CAGR of 6.4% and AMR International’s forecast of global exhibition services market 2016-2021 CAGR of 4.2% (note that Pico Far East should grow faster since it generates 86% of its sales from faster-growing markets in China and Southeast Asia). I assume that Pico Far East achieves a net profit margin of 7.5% in FY2020, representing an improvement from 7.1% in FY2019, due to operating leverage and the increase in utilization for its new factory, in Dongguan, China. This results in a FY2020 EPS of HK$0.29. There are no perfect peer comparables for Pico Far East, an Asian-focused exhibitions service company of this scale. Japan-listed Nomura Co Ltd (OTC:NMUCF) [JP:9716], a company engaged in the production of interiors in Japan such as the renovation of commercial facilities and the production of displays for expositions, fairs, public relations facilities and museums the decoration of department stores, trades at 21 times forward FY2018 earnings. Nomura Co Lt’s ROEs in the low-to-mid teens (mid-to-high teens ROE for Pico Far East) and 10-year historical revenue CAGR at 3.5% (6.4% for Pico Far East) are lower compared with Pico Far East. A 15 times forward P/E is reasonable in my opinion, considering Pico Far East’s moat and high ROEs, valuation discount to Nomura Co Ltd and historical valuation as a check (Pico Far East traded at 15 times P/E as recent as 2013). My target price implies a 41% upside from Pico Far East’s share price of HK$3.08 as of March 8, 2018. The key risk factors for Pico Far East include weak economic conditions leading to a slowdown in demand for exhibitions and events, depreciation of the Chinese Renminbi, and unexpected external events deterring travel such as disease outbreaks. 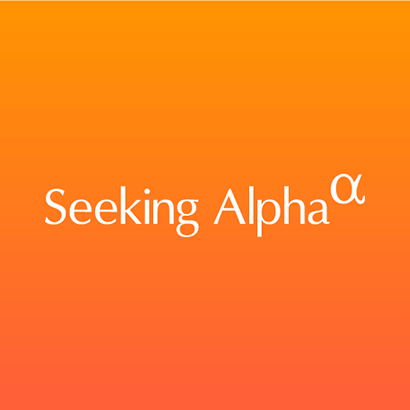 Thank you for reading this Seeking Alpha PRO article. PRO members received early access to this article and get exclusive access to Seeking Alpha’s best ideas. Sign up or learn more about PRO here. This entry was posted in Stocks and tagged Elevator Pitch, NMUCF on March 16, 2018 by admin.